This weekend was filled to the brim ... lots of holiday happenings. Friday night, my mom babysat while we went with friends to see The Black Keys. Awesome concert, and we had great seats on the floor which really made the show that much more fun. 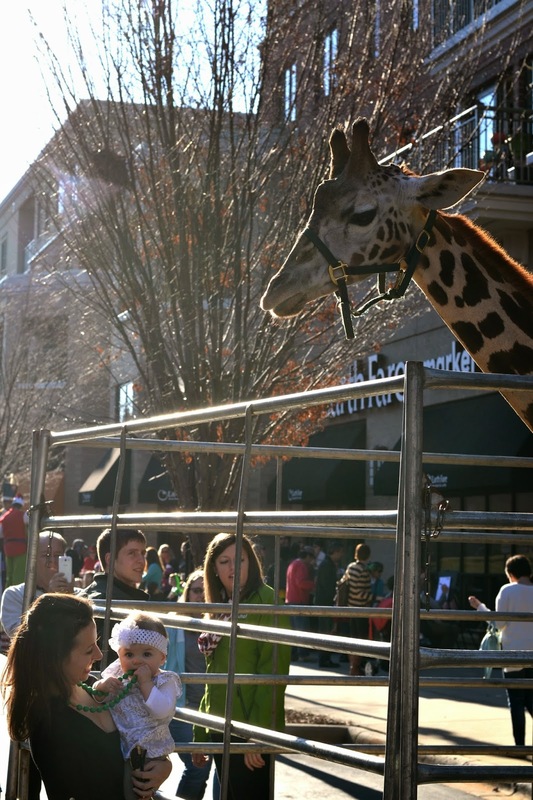 Saturday we went out to Mistletoe Magic at Morrison and we got to say hello to a baby kangaroo and a baby giraffe! Camille was obviously more interested in my Chewbeads. Even though we had plans to see Santa on Sunday, we couldn't resist a little trial run with the sweet one who was at Shower Me With Love during this cute family event. 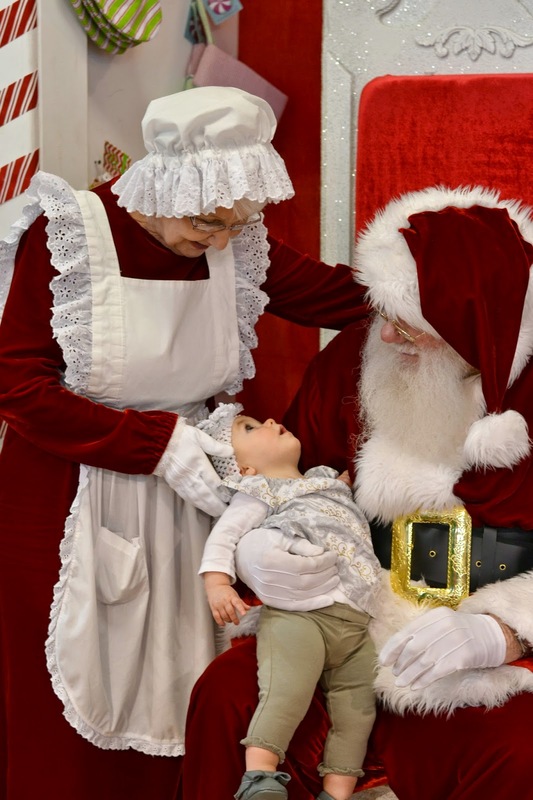 She was in such awe at Santa and Mrs. Claus, so we were really excited for her to see Santa again the next day. This time, she did have a little stranger-danger going on. Sweet girl. Am I positively crazy if I take her to see Santa again next weekend? There is a local store that has a beautiful Santa set-up and you can take your own photos at no cost. I know it may seem like overkill, three Hoho visits in one month, but .... 'tis the season? I know. I need to pour a glass of egg nog and chill out. So, I just purchased a few items from Old Navy -- a store I usually shop at in person, not online -- because they are doing free 2-day shipping today with code FREE. Usually they have a minimum order level for free shipping, but not today! Only a few more people to shop for and then I will be DONE with my holiday purchases. How is your shopping list coming along? free shipping??? i might be able to do some online shopping today!! hopefully they are still at 7% cashback on Ebates! awww she is too cute looking up at santa!! Love her face in that 2nd to last one! I don't think you are crazy at all for doing another Santa visit especially since Camille looked so fascinated! So adorable! Love the gold boots and dress, thanks for sharing! May just have to order for Kennedy! 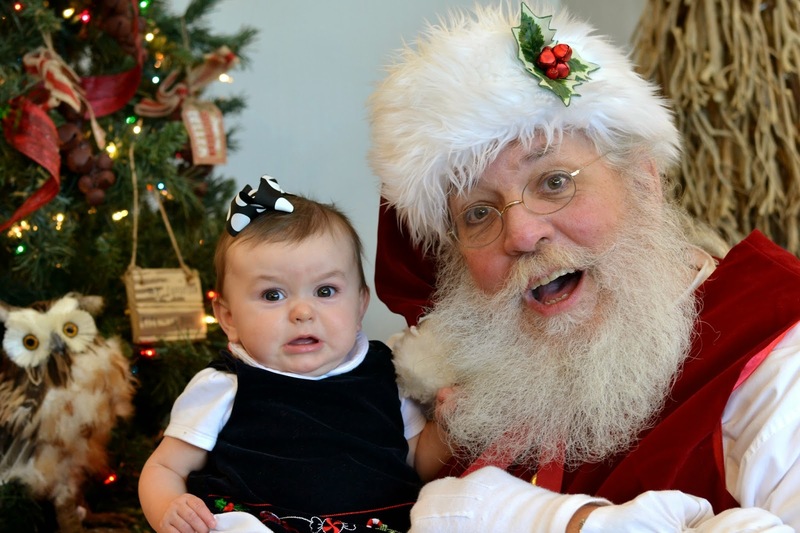 Aww, adorable baby Santa pictures. Love! I love all the Santas, and I say go for a third! Also, love your finds at Old Navy! 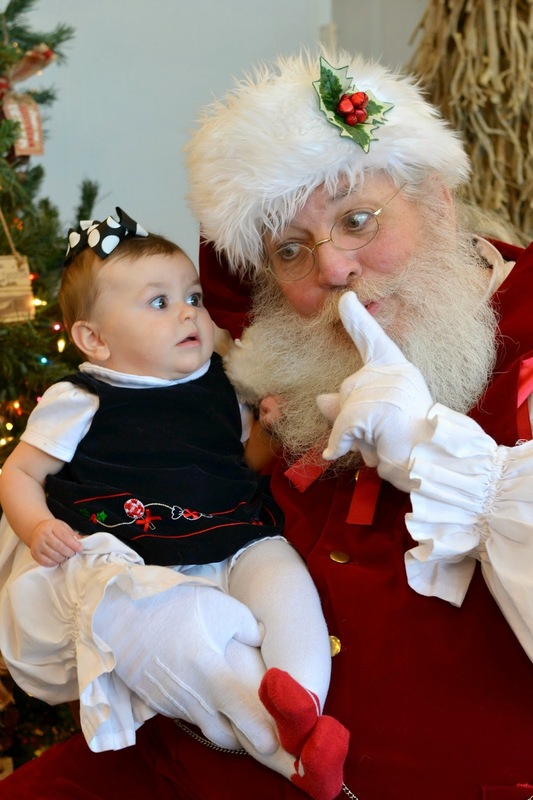 Oh my gosh, those pictures of C with Santa are too cute! Oh my how cute are the pictures with Santa. So adorable. Take her again, tis the season. Take her again! She is so adorable, I think it would be a crime not to! She's too cute with Santa and Mrs Clause!! I took Cam to see numerous Santas, so I say go for it!! :) She is going to look precious in that dress and booties!!! Way to go, Momma! Oh my goodness those Santa pictures are adorable!! Loving the gold boots from Old Navy, I may have to check those out for Caroline. Ha! Bless her little heart! 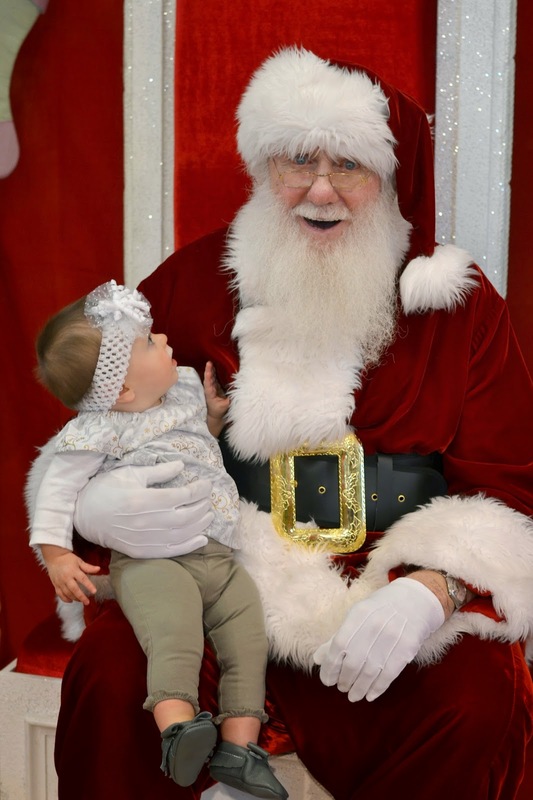 Take her again, can't get enough of Santa, right?? What a fun weekend! We had tickets for The Black Keys in Richmond weekend before last but things weren't lining up the way we needed them to and we ended up selling them last minute- jealous you got to go! Hope it was a great show! That 2-day free shipping from Old Navy makes me wish I'd saved my order from a few weeks ago that I'm STILL waiting to be delivered. Umm....can we just talk about how much I LOVE those pics of Camille and Santa?!?! SOOOO freaking adorable!! And I say take her on Saturday...we will prob be there too (since Ella hasn't been traumatized enough by Santa, haha...I'm determined to get a good pic!)! !